The following project was completed as a part of my User-Centered Design (UCD) Certificate. 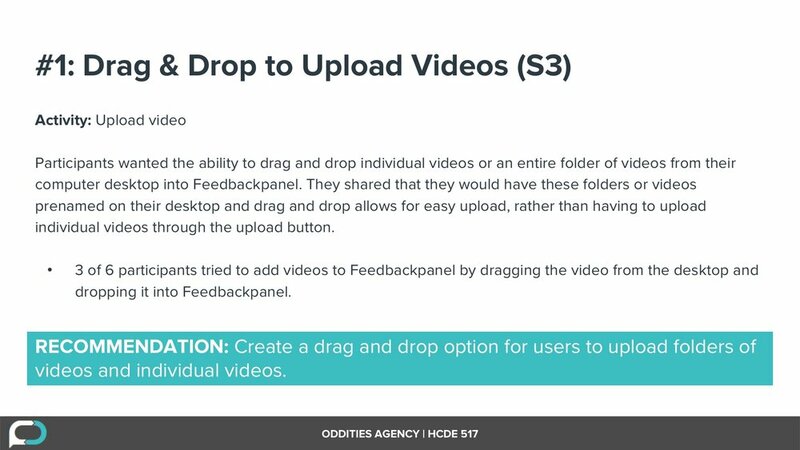 My classmates Hayley Bierbaum, Ellis Yu, Jenna James, and I (known as the Oddities Agency) conducted a research study on the web-tool Feedbackpanel. 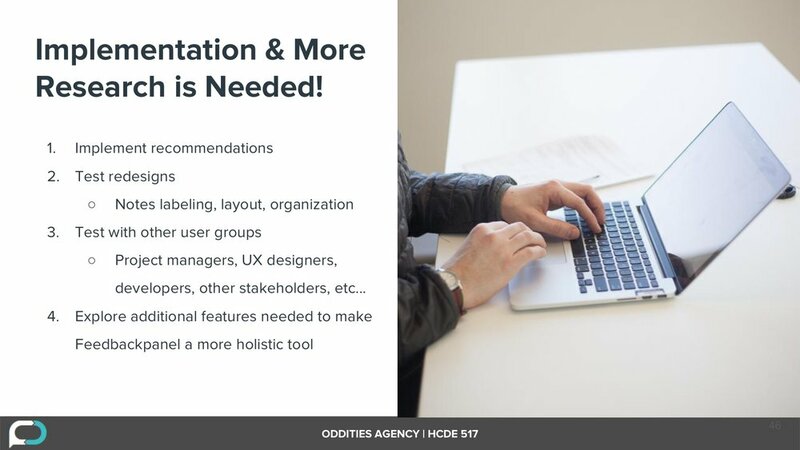 This a summary of the research work we did as well as our findings and recommendations. Our work was truly collaborative and each team member wore many hats throughout the project. We each helped with recruitment, study planning, session moderation, analysis, and reporting. 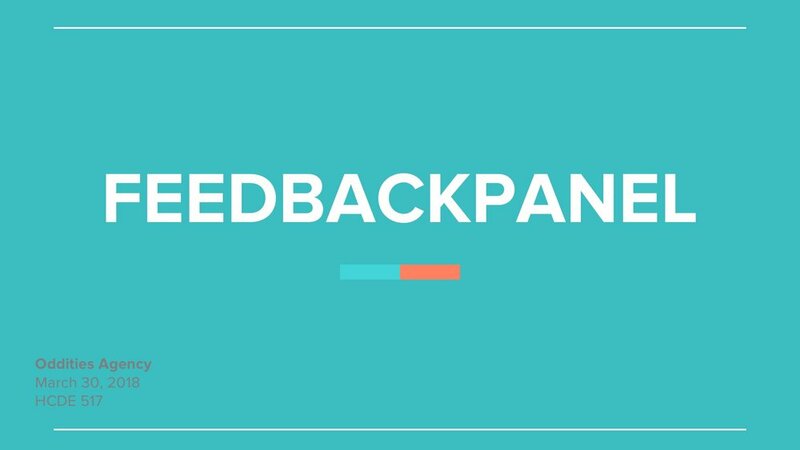 Feedbackpanel is a tool used by two core user groups; UX researchers and their clients or stakeholders. For the purpose of our project we focused on assessing the usability and effectiveness of Feedbackpanel as a researcher would use it. 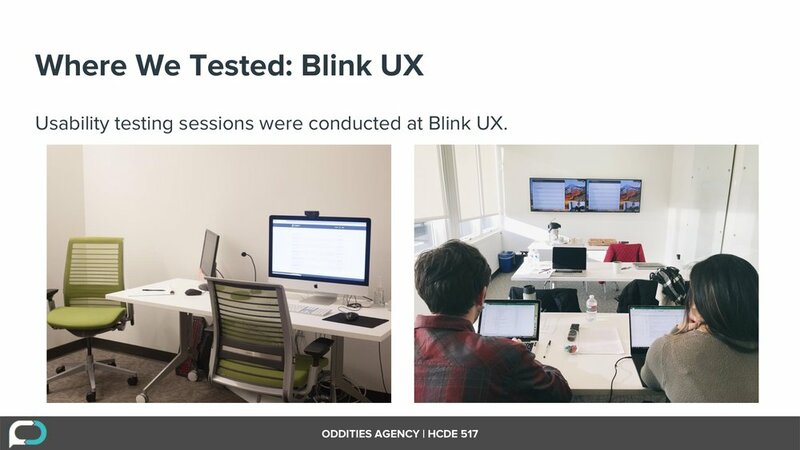 When we tested, our participants were a mix of researchers working in-house (2), for consultancies (3), or as a student (1). The majority of our participants had been working as researcher for two or more years and all had moderated research sessions within the last three months. Because we were working closely with practicing researchers we also took the opportunity to get feedback from them on our session plan and moderation once testing had concluded. Quantitative data consisted of counting the number of errors, assists, and successes. 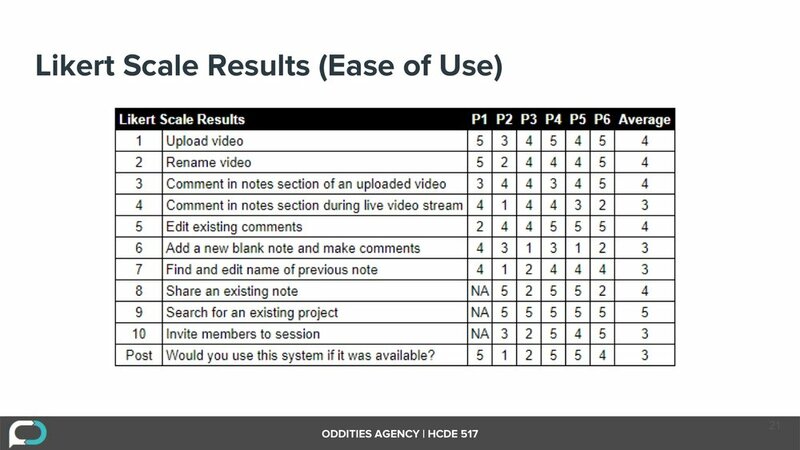 Additionally, we had two Likert scales; one on the perceived ease of use for each task and a post session rating of the overall likelihood of product use. Qualitative data was collected through observations, think-aloud protocol, and clarifying questions asked throughout the session. In total we created three scenarios totaling ten tasks. 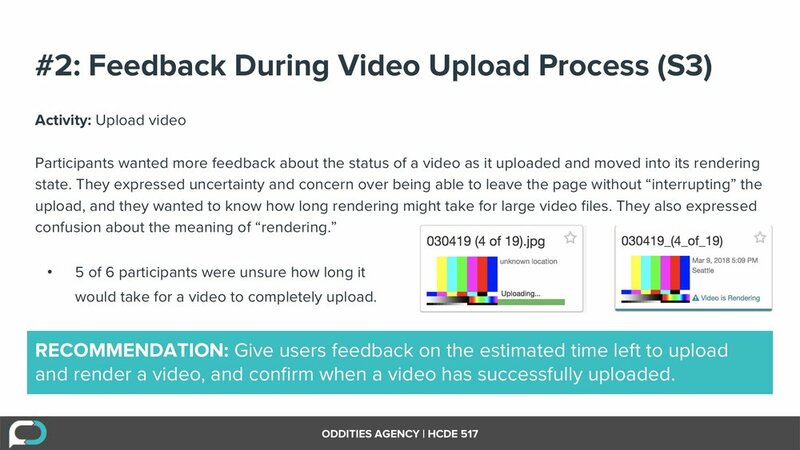 We created these tasks to follow the typical journey of a researcher within Feedbackpanel, from beginning to end, starting with uploading a pre-existing video and ending with inviting members to a session. 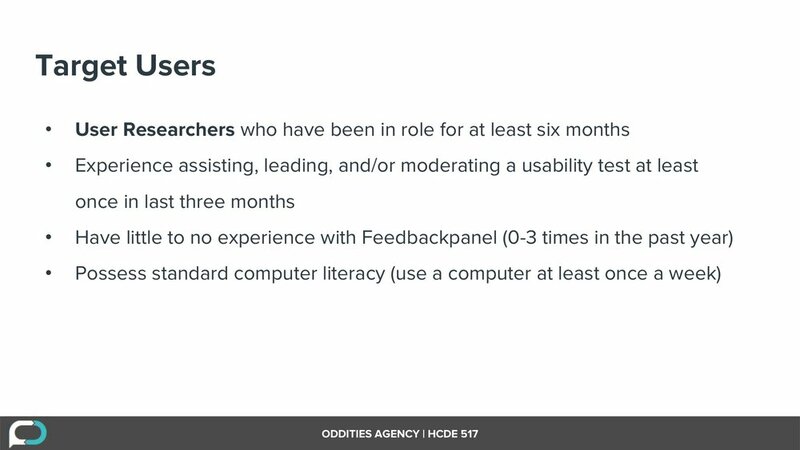 While several usability issues were uncovered in our study, there were aspects of Feedbackpanel that our participants identified as useful and engaging. These three contributed to the positive aspects of Feedbackpanel and were worth noting. The combination of quantitative and qualitative data collected during the sessions informed these rating. We looked at frequency and severity along with participants reactions and feedback. 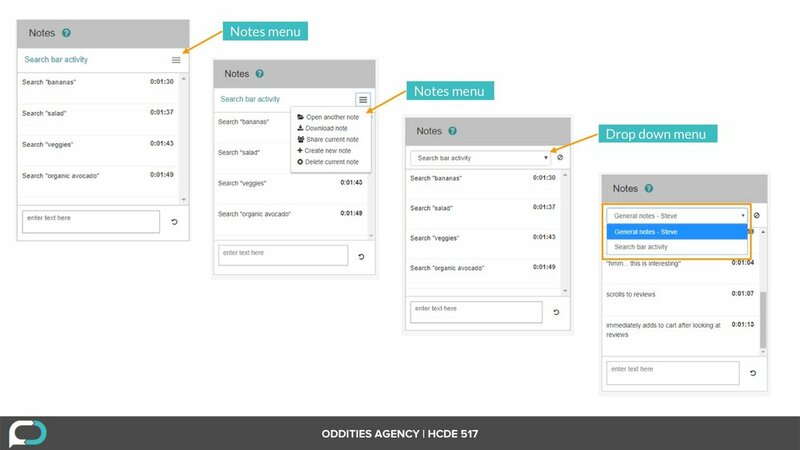 While opportunities for improvement were identified throughout Feedbackpanel, the primary usability issues center around the notes feature. 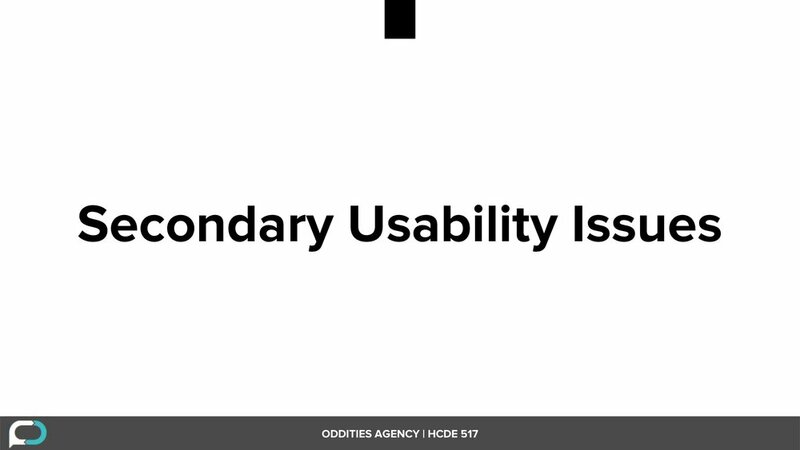 These were the issues with the highest severity. This is the notes feature within Feedbackpanel. 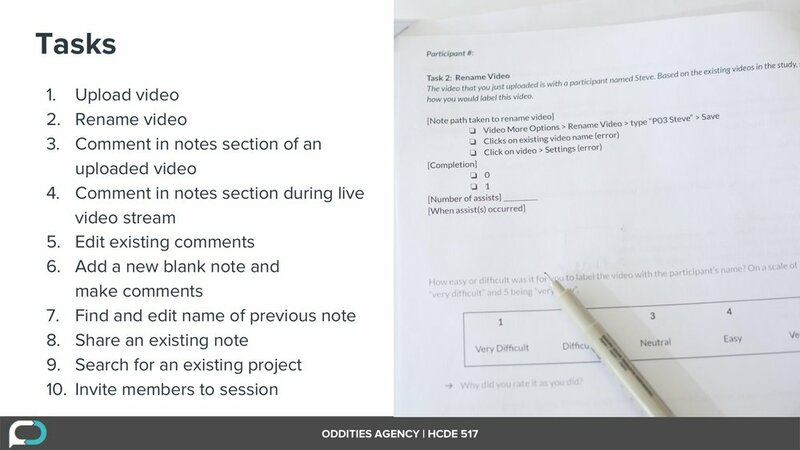 On the left side of the screen user researchers can play previous video sessions and the ‘Notes’ box to the right allows researchers to capture thoughts, quotes, notes etc. as video is playing. Each of the above screenshots is a step required to access a different note. 1) Click the hamburger menu. 2) Click “open another note” (which several participants identified as ‘confusing language’). 3) Click the small arrow (which was missed by several participants) to the right of the name of the note that is currently open to reveal the names of other notes. 4) Then click the note you want to open.